A climate system is characterized to be a complex non-linear system. 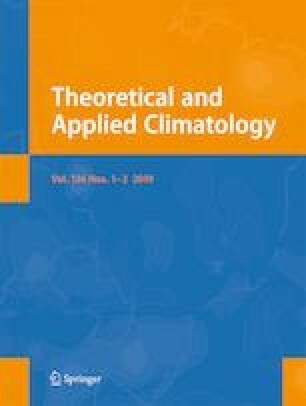 In order to describe the complex characteristics of precipitation series in Paraíba State, Brazil, we aim the use of sample entropy, a kind of entropy-based algorithm, to evaluate the complexity of precipitation series. Sixty-nine meteorological stations are distributed over four macroregions: Zona da Mata, Agreste, Borborema, and Sertão. The results of the analysis show that intricacies of monthly average precipitation have differences in the macroregions. Sample entropy is able to reflect the dynamic change of precipitation series providing a new way to investigate complexity of hydrological series. The complexity exhibits areal variation of local water resource systems which can influence the basis for utilizing and developing resources in dry areas. This work was funded by Coordination for the Improvement of Higher Education Personnel (CAPES) [Coordenação de Aperfeiçoamento de Pessoal de Nível Superior] (process 99999.006680/2015-01). The authors are grateful to the CNPq for the Research Productivity Grant, as well as CAPES, for funding the Research Project 88887.091737/2014-01.